Qualcomm Technologies, a subsidiary of Qualcomm Inc., has expanded its 5G test networks to include new end-to-end over-the-air (OTA) configurations for both millimetre wave (mmWave) and sub-6 GHz bands. 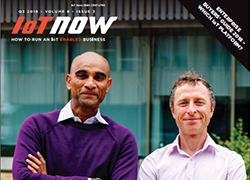 Located at Qualcomm Technologies research and development (R&D) locations in San Diego, California and Bridgewater, New Jersey, the new 5G networks will enable Qualcomm Technologies to validate new 3GPP Release 16+ designs ahead of standardisation, refine 5G algorithms and technologies to further improve performance, test and demonstrate emerging edge computing capabilities such as low-latency extended reality (XR), and demonstrate 5G capabilities not yet deployed. The test networks complement existing interoperability development testing (IoDT) and allow the company to gain extensive experience through OTA system-level validation of Qualcomm Technologies’ advanced 5G R&D designs ahead of broader ecosystem collaborations. The networks are built based on Qualcomm Technologies’ end-to-end implementations of the 3GPP 5G NR Release 15 standards and enables concepts that are expected to be supported from Release 16 and beyond. The network setup includes the 5G Next-Gen Core network, gNodeB base stations, and mobile test devices based on the Qualcomm Snapdragon X50 5G modem family and antenna modules with integrated RF transceiver, RF front-end and antenna elements. 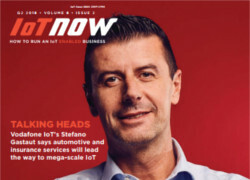 “These test networks are part of the continuous investments Qualcomm Technologies makes to enable the industry with 5G technologies in smartphones, tablets, always-connected PCs, as well as extended reality (XR), automotive, and industrial IoT applications. 5G NR outdoor sub-6 GHz Release 15 standalone (SA) massive MIMO OTA network in San Diego, CA: The 3.5 GHz network demonstrates the system capacity and user experience benefits of an advanced multiuser massive MIMO gNodeB implementation and enables wide area low-latency testing of XR devices and services. 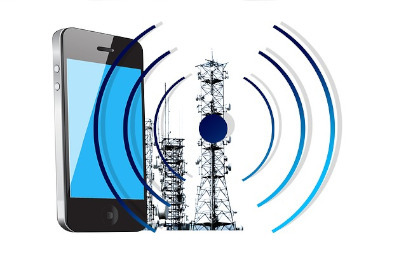 5G NR outdoor millimeter wave (mmWave) OTA network in San Diego, CA: The 28 GHz network demonstrates mmWave mobility, robustness and performance under different real-life operation scenarios. 5G NR indoor mmWave OTA network in Bridgewater, NJ: For indoor venues and enterprises, mmWave brings massive capacity, multi-Gigabit and low-latency connectivity to smartphones, laptops and more. The 28 GHz network demonstrates mmWave coverage and user experience in an indoor walled office environment under expected deployment scenarios. 5G NR Coordinated Multi-Point (5G CoMP) indoor OTA network in San Diego, CA: The test network demonstrates the benefits of 5G coordinated multi-point (CoMP) when expanding 5G to new verticals. For Industrial IoT (IIoT) applications, 5G CoMP is an essential component to achieve enhanced ultra-reliable, low-latency communication (eURLLC) to meet service requirements. 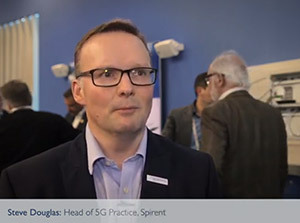 For spectrum sharing applications, 5G CoMP can significantly increase the spectrum utilisation when multiple deployments share the same spectrum. Additionally, this test network supports IIoT applications in unlicensed spectrum, which is important now that 3GPP is working to add support for standalone 5G NR operation in unlicensed spectrum as part of its NR-U effort. Demonstrations of these 5G NR technologies can be seen this week at #MWC19 Barcelona in the Qualcomm Technologies’ booth, Hall 3 Stand 3E10.